Are you a die hard facebook addict? If yes, you can show your unconditional love for it by wearing its signature blue on your fingertips. 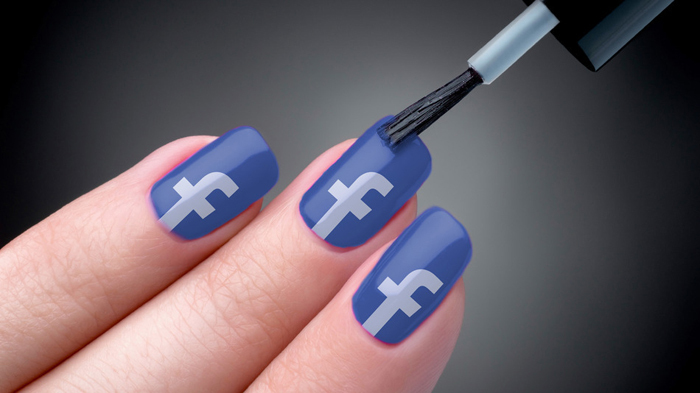 Facebook has finally launched its officially Social Butterfly Blue – the hottest nail color for the fall. It is made available in their Bay Area campus store. A tech editor was on a visit to the Facebook campus in Menlo Park, California where he spotted the lacquer and tweeted a photo a photo of it. The color will be named “Social Butterfly Blue” (!!). It won’t have the company’s logo but will rather have a weird little icon of a butterfly. Mashable report states that it will only be available in the campus store and no online order will take place. Get trendier with this fun new color in the fall. Its hue looks amazing. Doesn’t it? Coming soon to retailers near you: Twitter toothpaste in “subtweet mint,” and a luxurious Instagram BB cream that will let your face look like it has just passed an Amaro filter.